Douglas Mest, MD, of Pier Medical Aesthetics in Hermosa Beach, California, believes one’s outer appearance should reflect one’s inner peace and strength. By combining concern and compassion for each patient with technical skill, Dr. Mest is able to individualize each treatment plan. He and his staff take great pride in offering state of the art medical aesthetic treatments to help achieve this goal. Dr. Mest is a pioneer in the use of Sculptra. He was the principal investigator on the US clinical trial that led to FDA approval. He is the former Clinical Director of Blue Pacific Aesthetic Medical Group. In 2010 he went into solo practice to be able to focus more on his own patients. He approaches each patient as an individual with specific needs and desires. Taking the time to listen to his patients, Dr. Mest is able to serve them better. Dr. Mest, a Philadelphia native, graduated with Honors from Temple University School of Medicine. He completed his post-graduate training at The University of California at Irvine. Dr. Mest is the former Medical Director of Outpatient Surgical Services at UC Irvine Medical Center and has served as an Adjunct Faculty at UC Irvine as an Assistant Clinical Professor. Dr. Mest is board certified by the American Board of Anesthesiology with special qualifications in Pain Management. He is a fellow of The American Society of Laser Medicine and Surgery. He is also a member of the American Board of Laser Surgery and The American College of Phlebology. A particular area of interest for Dr. Mest is the treatment of facial wasting or volume loss. He was the Principal Investigator on the US FDA study for the approval of Sculptra (Poly-L-Lactic Acid) for facial lipoatrophy. 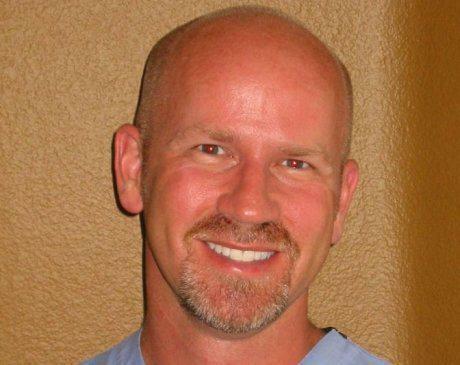 Dr. Mest has also been featured on the TV show Bridalplasty and The Swan. Dr. Mest’s extensive work on studies regarding the use of fillers in the treatment of facial lipoatrophy as well as the FDA approval process for Sculptra has made him a nationally recognized expert in treatment options for lipoatrophy. As such he appeared as a featured expert in POZ magazine and is a consultant and national physician trainer for Galderma Aesthetics, the manufacturer of Sculptra. He also serves on the medical education faculty of Merz Aesthetics, the manufacturer of Radiesse. In addition, Dr. Mest has served as guest faculty at numerous Dermatology, Plastic Surgery, and Aesthetic conferences. Dr. Mest has been featured on the Discovery Health Channel #1 hit show Plastic Surgery, Before & After. He has also been featured on Good Morning LA, Channel 13 (UPN), Channel 11 (FOX) News and Channel 10 San Diego. You may also read articles written by Dr. Mest in our News/Press section. Dr. Mest is currently being featured on E!’s hit show Botched.